Nowadays drugstores are full of products used for teeth whitening. What is the problem? A huge number of products that are used for teeth whitening include chemicals that can be bad to your health and can damage the enamel on the teeth. So how to whiten teeth naturally? Even whitening professionally performed into a dental ordination are not at all natural and can make your teeth sensitive which can cause pain. However, there is still hope: if you want a whiter and brighter grin, this method performed only once a week can have you flashing your pearliest whites—the natural way and you only need a few ingredients such as baking soda and lemon. 1 tablespoon of baking soda (bicarbonate of soda) – you can also use baking soda as a general kitchen medicine. The juice of half a lemon or lime – also see how to use lemon as a medicine. Place baking soda (one tablespoon) into a small dish and pour lemon juice over it. Use squeezed half a lemon (or half a lime). The mixture will start bubbling as a result of the interaction of the soda with the lemon acid in the citrus juice. Once the bubbling decreases somewhat, stir the mixture with your toothbrush until you get a thick paste. If the paste is too fluid, add little more of baking soda until you reach the suitable consistency. Place the paste onto the toothbrush and start brushing thoroughly, the same way you would use a normal toothpaste. Use a higher amount of water to rinse the mouth, and that’s it! That’s all there is to it. 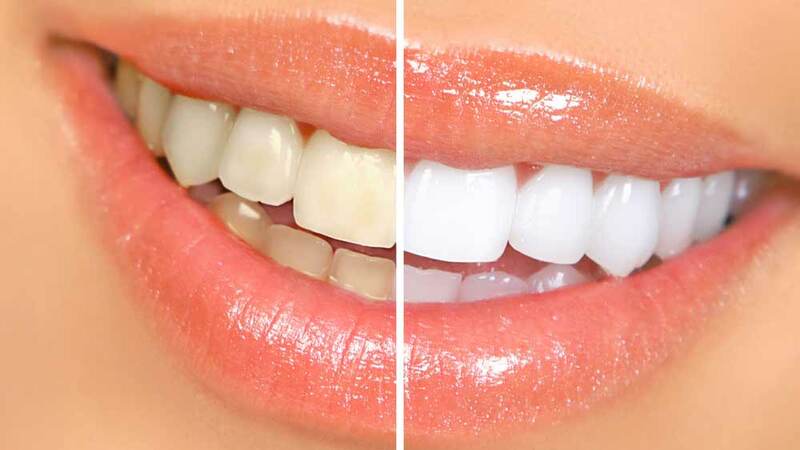 You should perform this method of whitening, naturally, only once a week just to get a bright smile without harming the protective enamel covering the teeth. One recommendation is you use a new toothbrush when the method for the first time and assigning that toothbrush specifically to being used for whitening—otherwise said, avoid using your daily-use toothbrush for this treatment. If you don’t have lemons or limes on hand, 1-2 tablespoons of water may be substituted to create the whitening paste. The taste of the whitening mixture is a bit strange and tart, but the quantity used for whitening is totally safe and non-toxic in case you should accidentally swallow it (although you might find the flavor a bit nauseating if you happen to do so). After just one month of use—only four treatments—the results should be initiated by having brighter and whiter smile! These are great natural tips to whiten your teeth. I’ll have to consider this when I need to whiten my teeth. My dentist has a deal that gives me free teeth whitening so I took him up on it and it has worked well. I’ve never heard about people using lemon and soda for a natural teeth whitening. I’ll have to ask my friends & see if they’ve used it before. I’ve always has insecurities about my discolored teeth, hopefully I can change that soon. This is perfect. The 3 minutes care is great for me.